Search engine giant Google has launched a product to help businesses to build Artificial Intelligence models. Google Cloud AutoML mainly allows businesses with limited Machine Learning know-how to build high-quality AI models. In fact, this helps in improving their product or service. Google Cloud AutoML enables businesses and developers to train custom vision models as per their need. Google aims to cut down the barrier of entry and bring the largest possible reach of AI to the community of developers, researchers, and businesses. Businesses with limited ML skill can start building their own high-quality custom models by Google Cloud AutoML. The advanced techniques like learning2learn and transfer learning from Google extend better support. 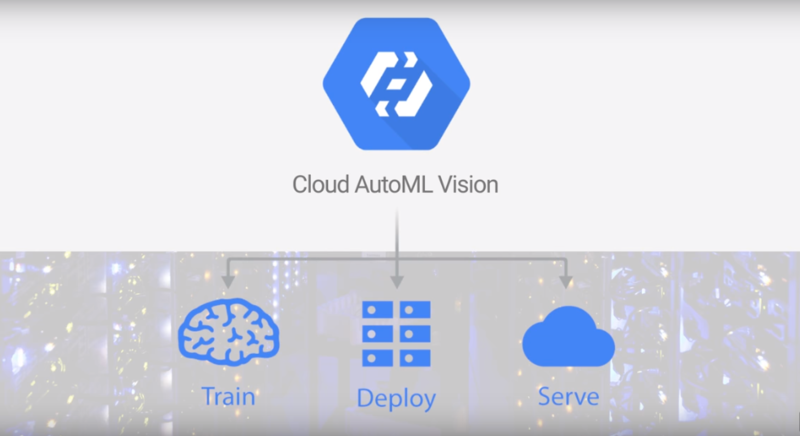 Cloud AutoML Vision is the first Cloud AutoML service by Google which makes faster and easier custom ML models creation for image recognition. The Interface is so easy and allows users to drag and drop for uploading images, train and manage models. Also, it enables to deploy those trained models directly on Google Cloud. On the other hand, AutoML Vision offers a simple graphical user interface which helps businesses to specify data, and then turns that it into a high-quality model customised for specific needs. Increased accuracy: Google‘s Cloud AutoML Vision is built on leading image recognition approaches, this also include neural architecture search technologies and transfer learning. This results in a more accurate model even if the businesses have limited machine learning expertise. Faster turnaround time to production-ready models: Cloud AutoML facilitates to create a simple model in minutes to pilot your AI-enabled application or even built a production-ready model in less than a day. Easy to use: Google AutoML Vision offers a simple graphical user interface to specify data, which can be turned into a high quality customized model.